Many of us seem to be short on time and need to find ways to do our jobs more quickly. This is certainly true in our household cleaning regime. Luckily, there are shortcuts, tools, and methods that will help you clean more quickly. Whether you have guests arriving in a few minutes or you're just looking to do some quick maintenance, employ these tips and tricks, and your home will be sparkling clean in no time. Speed cleaning is not designed to get your home white glove clean. Instead, it's all about maintaining order and cleanliness. You can speed clean anytime you get a chance, even on your busiest weeknights, you need a good strategy. These are simple tricks that can get you motivated and help you clean in the most efficient manner possible. Put these to use on your deep-cleaning days as well because they're proven to work. The term 'shortcut' often makes us think of an inferior attempt. However, these cleaning shortcuts can reduce the amount of time and effort that cleaning takes. It's really about using the right tool for the job or taking advantage of a few minutes of downtime. The little things make a big difference and can take the pain out of your normal cleaning day. 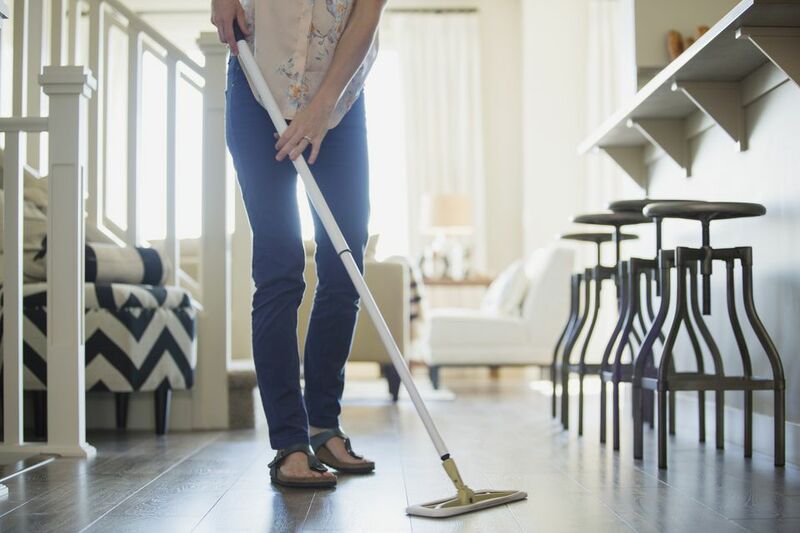 Did you know that you can clean almost any room in your house in just 15 minutes? It's amazing the amount sparkle you can bring to your kitchen, living room, and even your bath in just a few minutes. The key is to be prepared and know exactly what needs to be done. If this is the bare minimum that you can do, your home will still be ready to serve your family and unexpected guests. Many of the cleanups are simple enough for children to use as a guide in their own cleaning. You might even take the approach of assigning each person a room. Set a timer and get to work, then have a reward planned and celebrate your clean home together. Do you have 30 seconds to spare? Even that can be a stretch on some days, but when you do, there are a few things you can do. For instance, you might toss some baking soda in the trash can while changing the bag or give the TV a quick dusting when waiting for the kids. Tossing junk mail and unused magazines or organizing clutter can be done when you notice it as well. The seemingly insignificant things can make a difference in making you feel better at home. You can buy all the cleaning gadgets you can find, but most leave a lot to be desired. Plus, a lot of them can get pretty spendy. More often than not, they also don't do the job they're supposed to. Save your time and money and discover the cleaning products that work. They're simple and often low-tech solutions that live up to their promises. Your best friend from high school is stopping by in 15 minutes, and the house is a mess. What can you do? It's time to fake it! In just eight quick steps, you can fake a clean house, and your surprise guests will never know the difference. It's as simple as freshening the air (and yourself), stashing clutter out of sight, and focusing on the most important rooms.